On March 30, 1920 a British soldier was digging a trench in Syria and uncovered the ancient city of Dura-Europos. 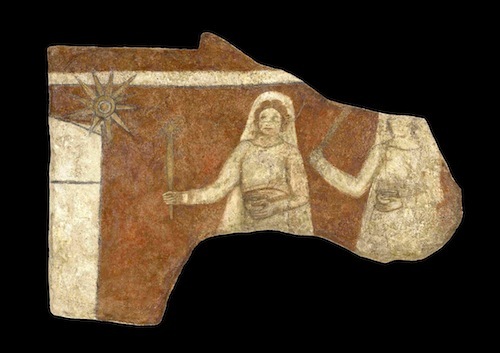 Archeologists, including the famous historian/archeologist James Breasted, found one of the earliest synagogues and, most amazingly, the earliest Christian home church. The church/home is about 1,775 years old and dates to c. 241 AD. The worship center was in the lower level of the home and the owners apparently lived on the second level. It was not uncommon in the early days of the Christian faith for wealthy Christians to welcome believers into their homes for worship. 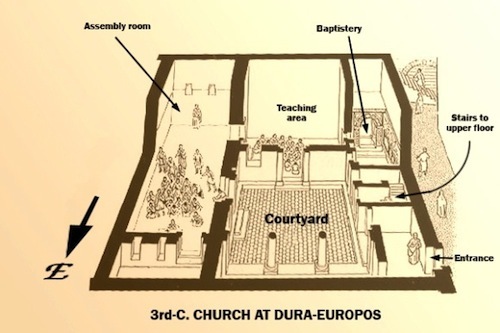 The very idea of a church separate from private homes could exist only after Emperor Constantine’s 313 AD Edict of Milan that gave Christians their freedom to worship. 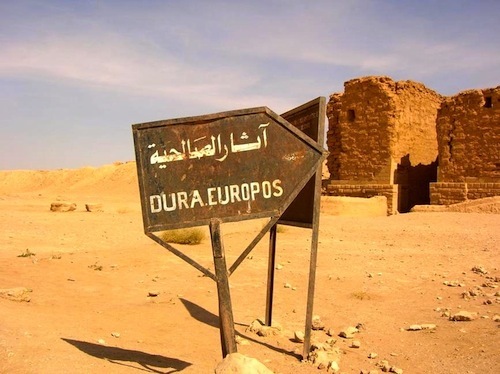 Dura, built on a cliff high above the Euphrates River, was in the early 3rd century a crossroads city between Damascus and Baghdad peopled with Greeks, Romans and Parthians. 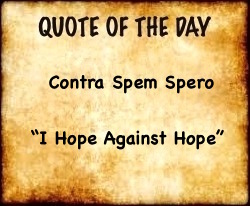 The Romans had conquered the city in c. 165 AD and used it as a military garrison and frontier post. The many temples to pagan gods from all over the ancient world, the Jewish synagogue and the Christian church all mingling side by side illustrate the city was cosmopolitan and tolerant. 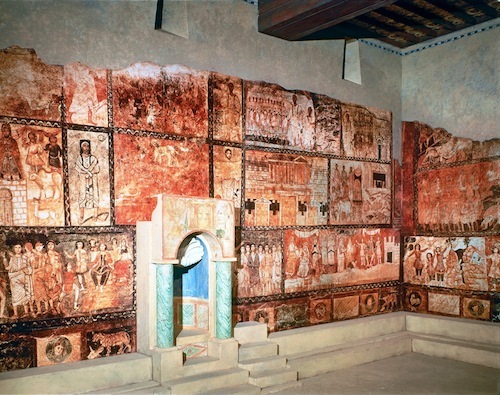 The wall paintings found in the Christian Church were perfectly preserved by the desert sands. 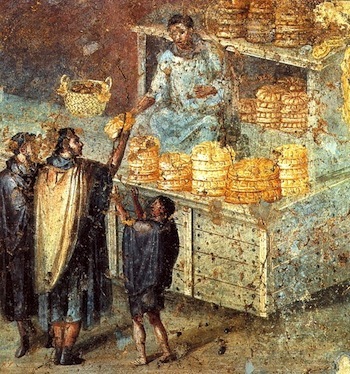 Because of the perfect preservation of the site’s buildings in the dry, arid desert, the archeologists dubbed Dura-Europos “the Pompeii of the desert.” There were many New Testament stories painted on the walls of the entrance to the home Church. 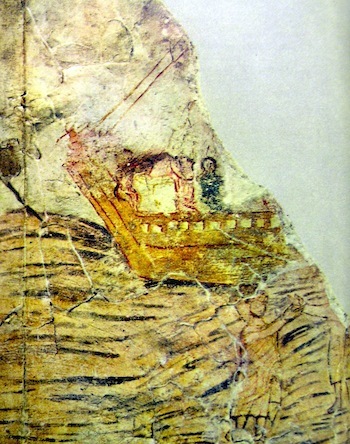 Christ and Peter (below on the right) Walking On Water; from the 1,775 year-old Christian Church in Dura-Europos. 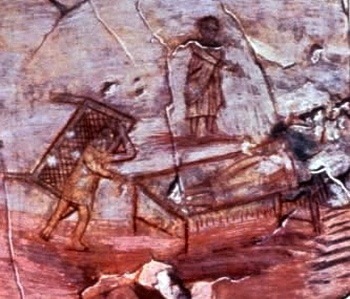 Since the Syrian conflict began in 2011, no archeologist or specialist has visited Dura-Europos because it is controlled by ISIS. 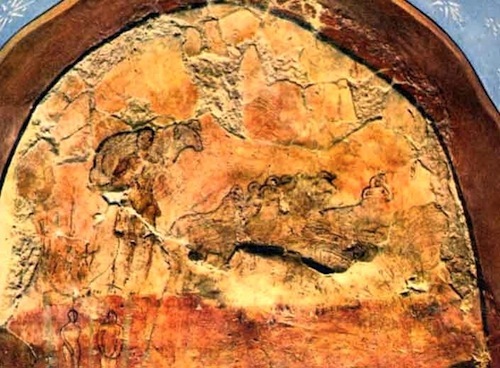 There has been concern over the site since the war began because ISIS has destroyed dozens of Jewish, Christian and pagan ancient sites and artifacts in its bloody climb to power. To ISIS, those antiquities are infidel idols. Now satellite pictures from Dura confirm the appearance of holes in the ground they speculate are from looters. Fortunately, most of the murals from the home church are in storage at Yale and the murals on the ancient synagogue reside in Damascus. But recent satellite photos show c. 1,000 new men at the site. Most believe they are from ISIS and will destroy the entire site.